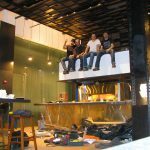 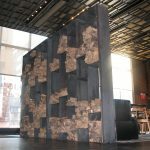 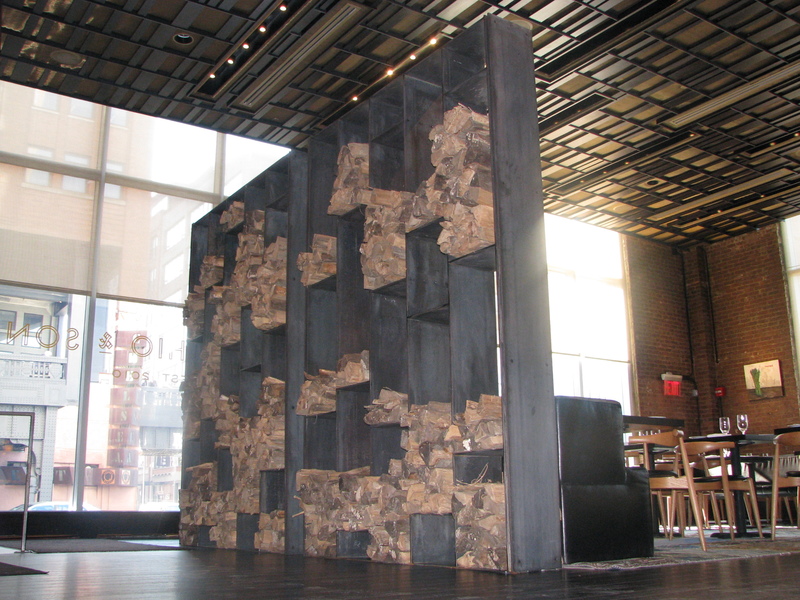 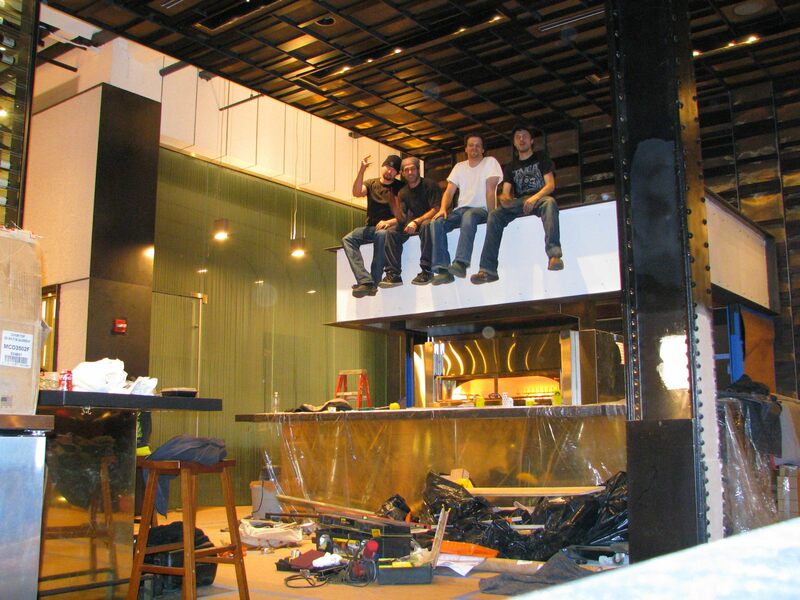 Colicchio and Sons Archives - TMRnyc - Total Metal Resource, Inc. 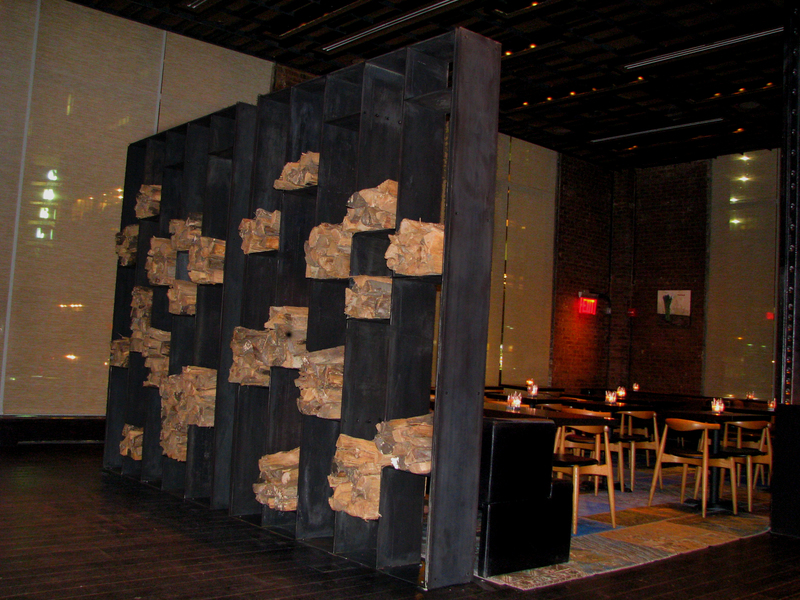 When you run just about any kind of business in New York City, space is at a premium. 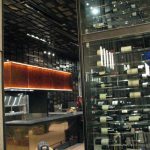 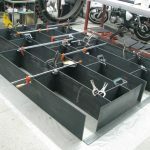 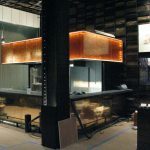 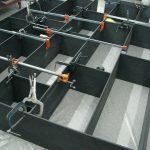 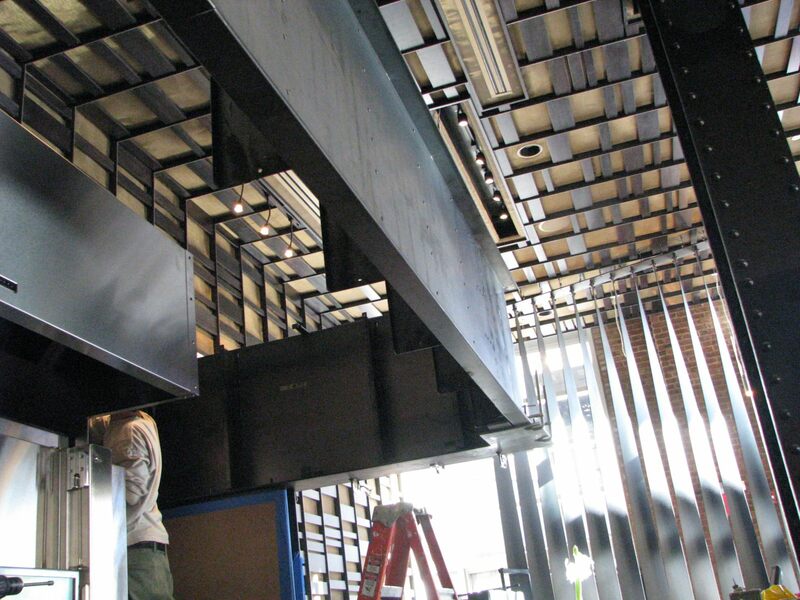 For our clients, that usually means they want unique metal products that are not only going to set their spaces a cut above the competition from a design perspective, but that those products need to be both stylish and highly functional. 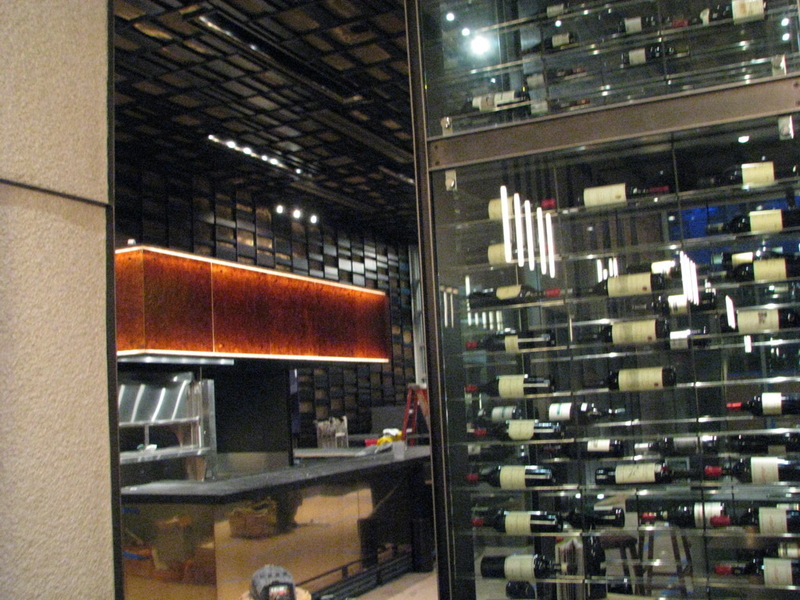 Case in point: Colicchio & Sons at 15th street and 10th avenue. 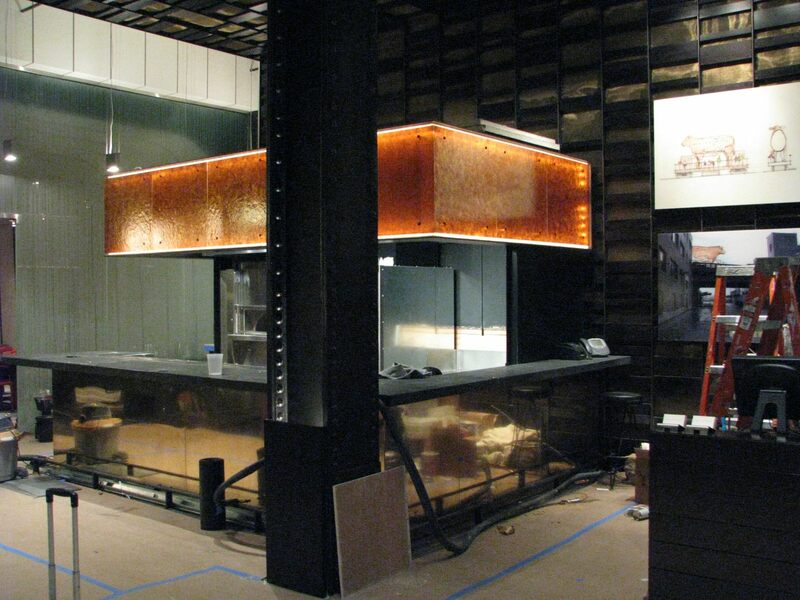 We’ve done a couple of projects with Top Chef’s Tom Colicchio, and both were about maximum impact in minimum space. 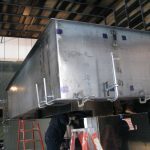 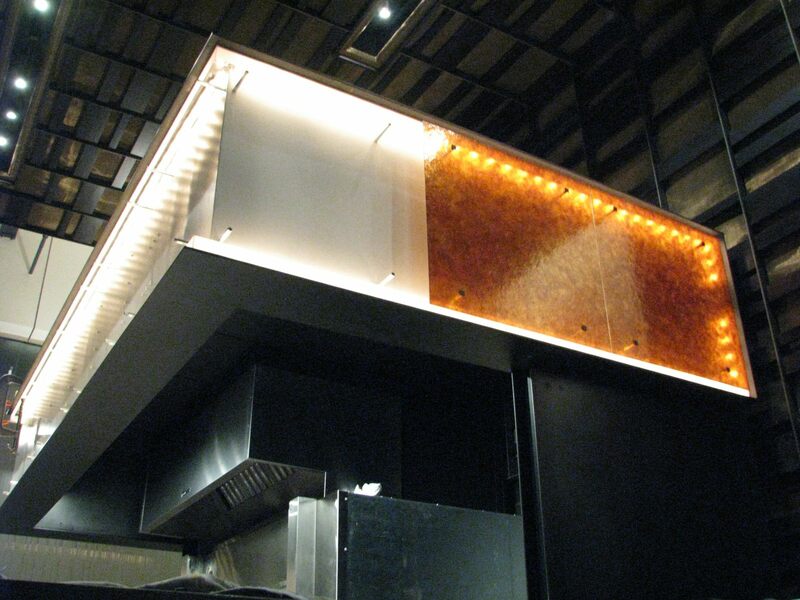 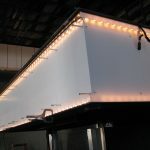 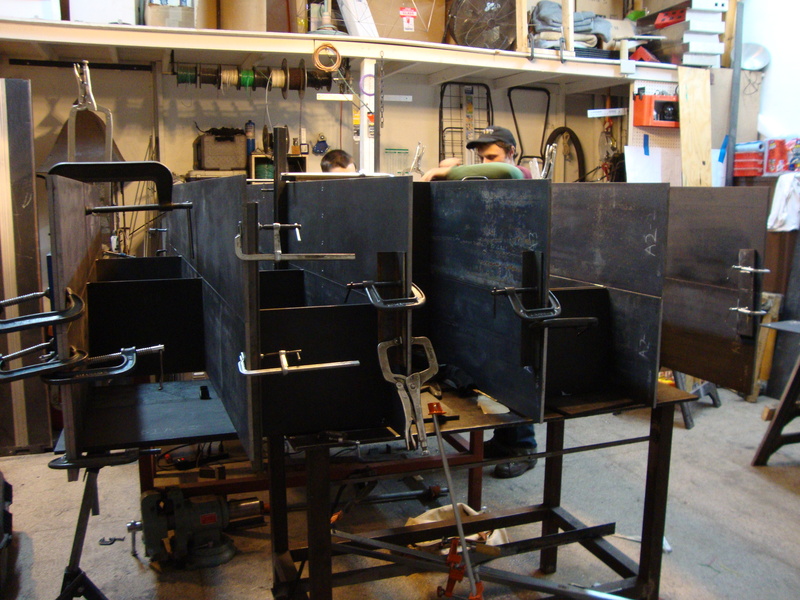 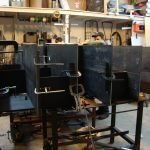 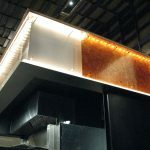 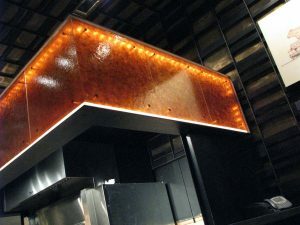 The first piece, paneling for the wood-burning oven’s vent hood, was all about ambiance and style through custom metal fabrication. 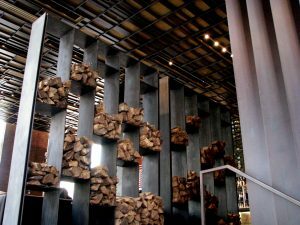 NYC diners can check out the fiery orange glow of the oven hood while dining on some of Colicchio’s fine offerings such as their delectable truffle celeriac agnolotti and verjus glazed rutabaga or their 30-day aged Niman ranch sirloin farro, crispy salsify and Castelfranco radicchio. 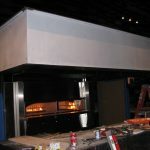 Utilizing just the space covering the vent hood, we were able to add visual warmth to the open kitchen without detracting from the style of the dining room itself. 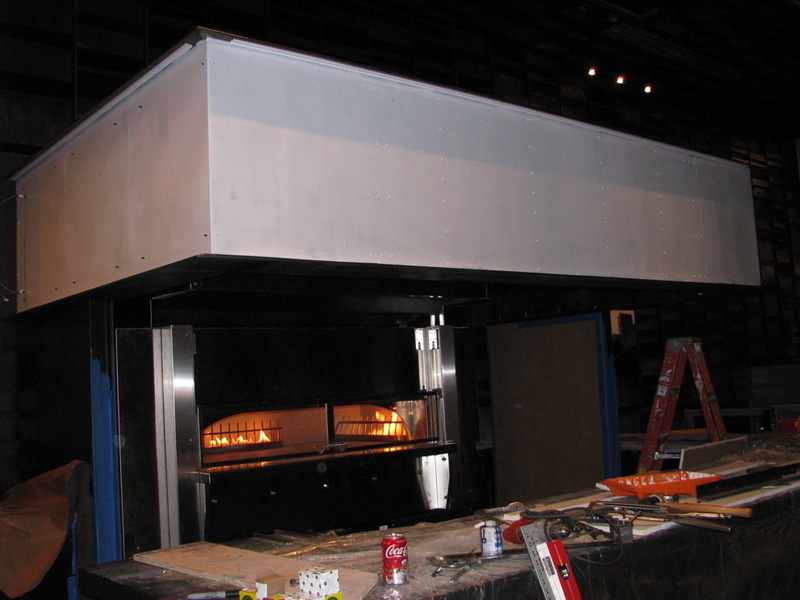 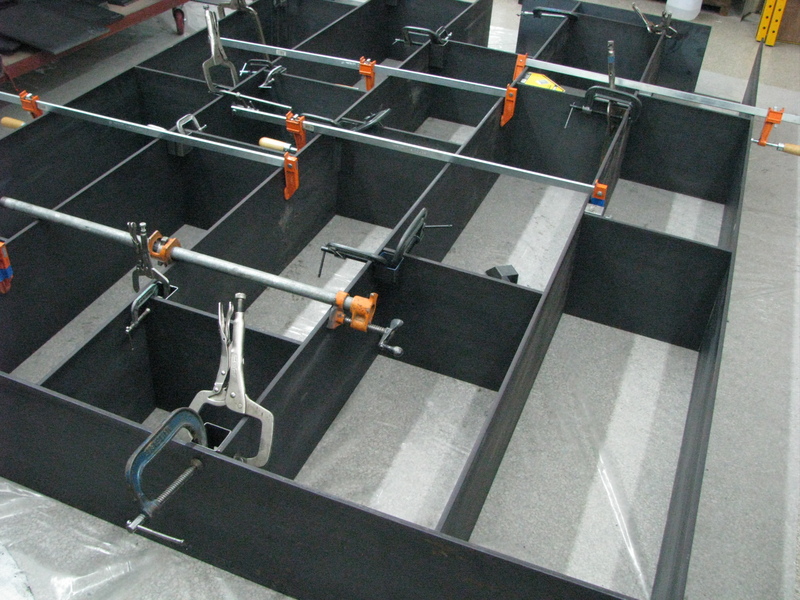 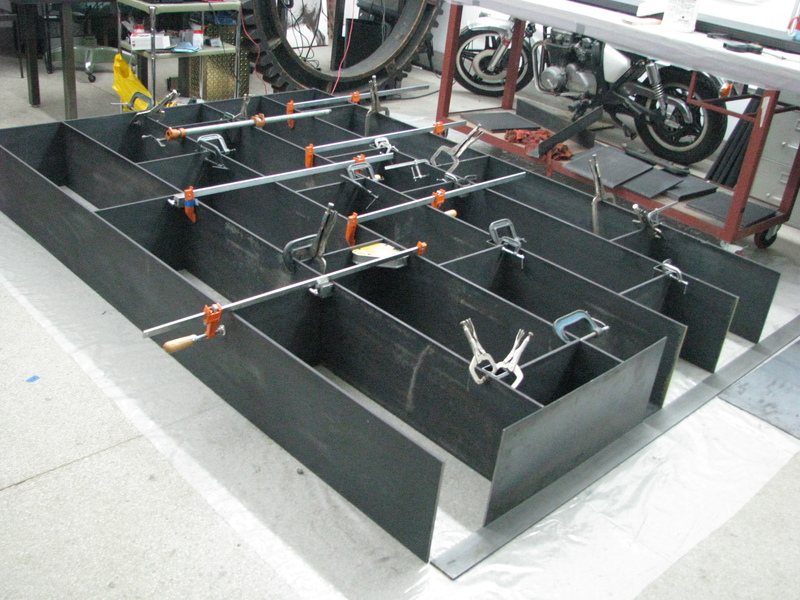 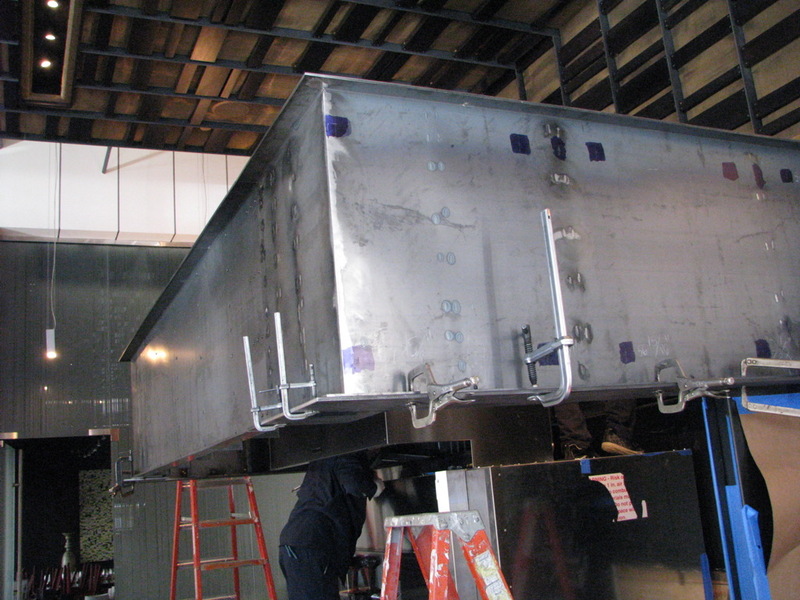 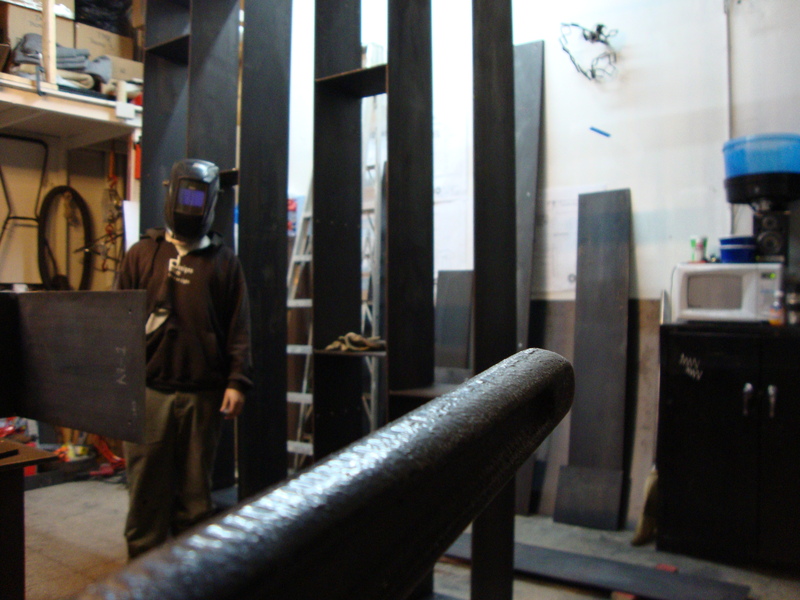 The wood-burning oven brought about the need for another piece of custom metal work. 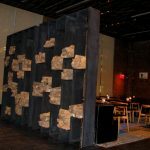 With space at a NYC premium, where were they to store the wood? We solved this dilemma with a bold focal element that’s as functional as it is stylish. 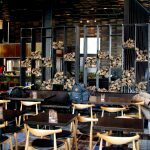 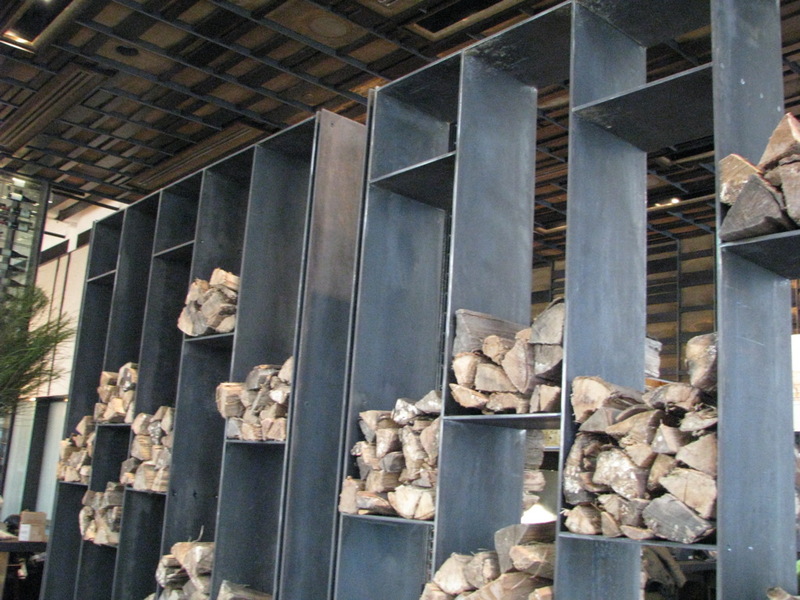 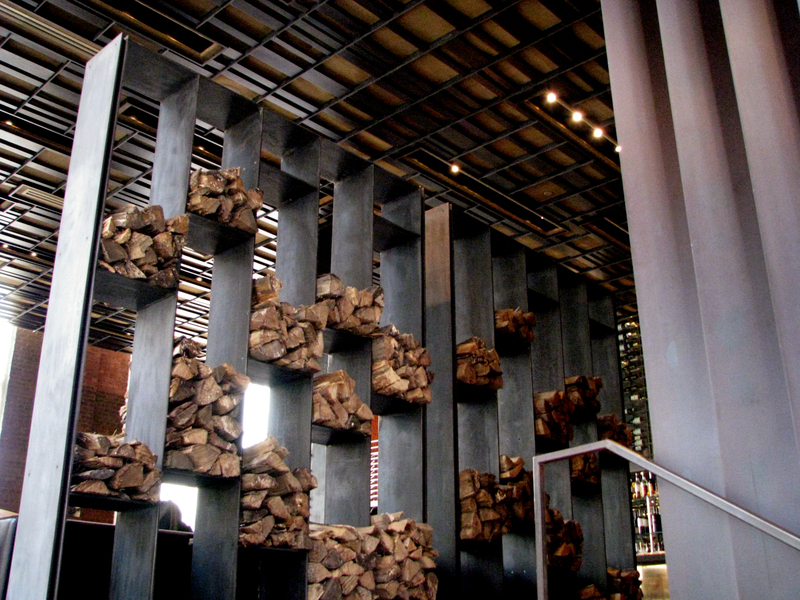 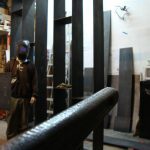 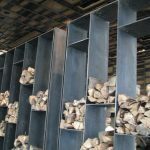 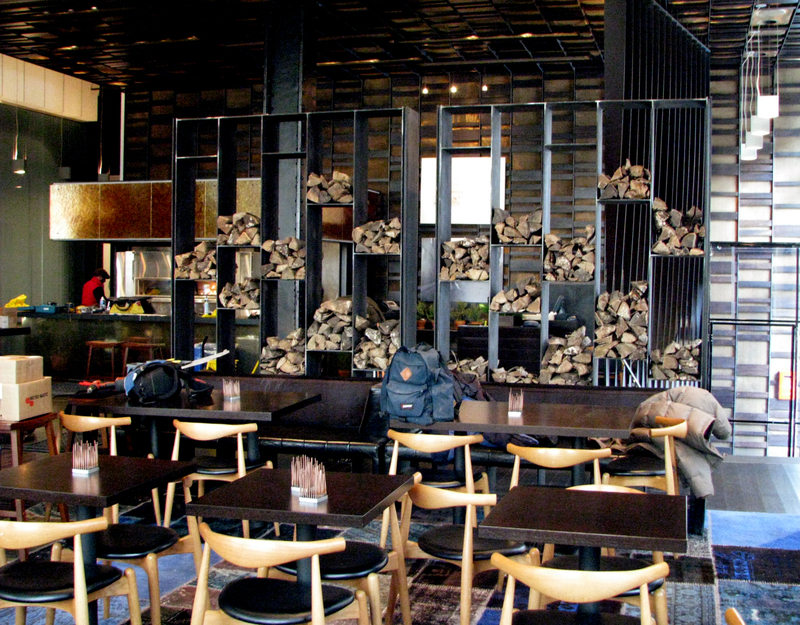 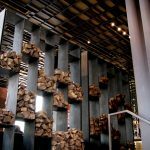 We crafted two 9-foot-tall by 10-foot-wide blackened steel racks to house the firewood, and in doing so we created a dramatic visual element, a natural room separator, and a functional shelving solution, all while complementing the aesthetics of the restaurant and maintaining the size of the dining space. 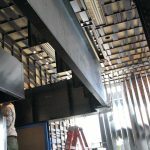 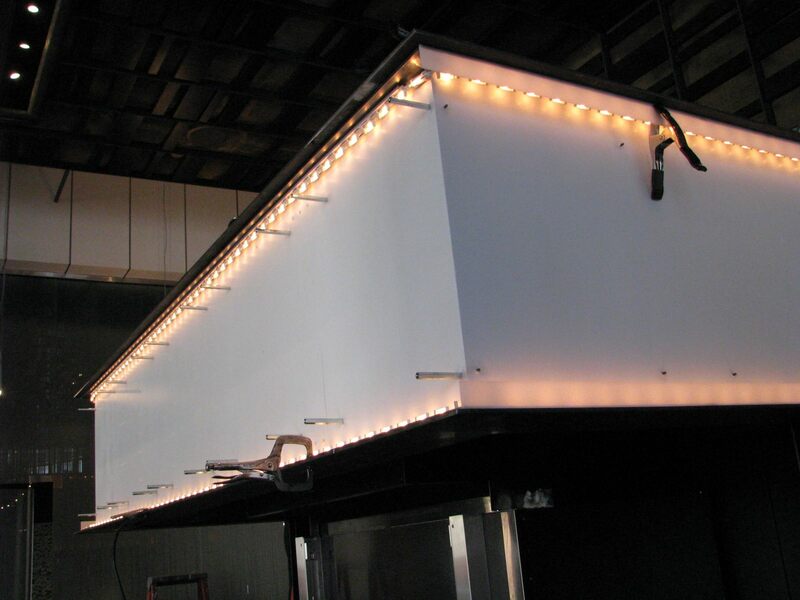 Do you have a unique need for shelving, storage, or functional furnishings in your commercial space? 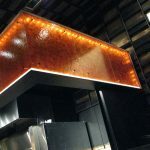 Connect with us to see how we can take your design, and your space, to the next level.